To start the day with a hot cup of coffee is a routine that many of us follow. It makes us feel invigorated and takes slumber away, literally. However, not all is rosy with this age-old habit as our favorite beverage is known as a teeth stainer. In fact, your cup of coffee can affect the mouth in a number of ways, which is why dentists advise us some care with the practice. Drinking coffee has negative effects on our dental health. Only being subtle and careful with the coffee is the way forward even if the drink tastes and feel energizing. Coffee has negative effects on your teeth and mouth in different manners. Drinking coffee and then having stained teeth go hand in hand. You can do anything about that, though cutting back on the amount can help. 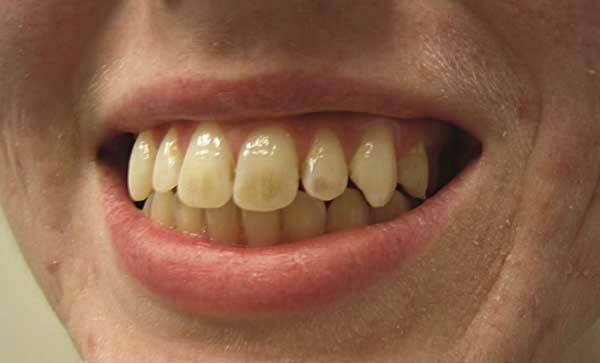 The visible stains on your teeth are due to the extremely porous nature of the enamel. So, dark foods and drinks can easily seep into the teeth and do the damage. If the staining is not that deep and stubborn, or when it’s only on the surface, a tooth whitening procedure can help. However, veneers become the last option when the stain is of too and sever variety. The enamel on the teeth is sensitive and gets weakened by foods and drinks of acidic nature. Since coffee is strongly acidic, its regular consumption can gradually erode the enamel on the teeth. This problem, however, can be curbed or contained to some extent by not letting the drink come in direct contact with your teeth. Why not use a straw to drink your regular coffee? And yes, you can rinse out the mouth with water immediately after having the drink. This is how you could keep your enamel from the risks of erosion. Yes, it’s true that regular drinking of coffee can lead to bad breath. This may surprise some but it’s what it’s. This actually happens due to the caffeine in the drink which dries out the saliva in the mouth. A mouth will no saliva becomes a favorite hunting ground of bacteria, which starts to grow at a rapid rate. This is how the problem of bad breath happens. You could largely stop this from happening by chewing sugar-free gum, as this will ensure sufficient saliva in the mouth. So, focus on helping the mouth create more of saliva so that the problem of bad breath is put away. Many people have the habit of adding sugar to their cup of coffee to enhance the taste of the drink. This is actually bad for your dental health as it may give rise to enamel-eroding bacteria leading to cavities. With sugar, you will also be, although inadvertently, saving the bacteria that causes plaque. This is how tooth decay happens. But even if that comes to pass, you needn’t worry as there are methods to replace the missing natural teeth. You can get affordable dental implants to restore the loss of charms from missing teeth. Quite clearly, your habit of coffee needs some thought. Even if you’re not going to stop drinking it altogether, at least, you need to cut back on the number of cups you take daily. And if you did not do that at the earliest, your teeth would further deteriorate beyond a point of redemption. You should consult the dentist and discuss in detail what else you could do more to reduce the impact of this habit, and how you can curb the instinct or urge gradually. You can follow the advice and then take a right step towards having perfect teeth forever! Author Bio: Sawoni Chowdhury is an aficionado of writing. She is an expert writer and blogger and shares her views and opinions on a range of topics such as Lifestyle, Business, Entertainment and lot more. She works for dentalimplanttime, which offer affordable dental implants services in nyc.